We don’t invest our energy on people we’re not completely crazy about, so we choose to connect to them at a deeper level before we get too close. That said, when we fathom that special connection, we have an interest in getting to know better, it’s kind of mind-blowing! Every once in awhile you like to go out with a group of people and have a great time. Specially if the people in the group are one’s with whom you have extremely intimate connection. It could be a party, networking event, or a huge concert. But once that’s done and over, it may take days, weeks, or even months, to completely recharge your batteries and feel ready to do it again. Introverts are very sensitive to their surroundings; their potential for mindful observation of the surrounding, absorbing strings of stimuli through their senses. You enjoy getting to really know what the people around you are really about. Therefore, people enjoy having you around and quickly grow comfortable opening up to you. Introverts are extremely careful in choosing who they allow to see their inner self. Sure, opening up to another individual and being vulnerable is incredibly frightening for us, but it means we’ve determined the recipient of our affection and attention is worth the risk. That being said, we’re pretty quick in shutting people out when we feel threatened or hurt. We just don’t have the energy for that. 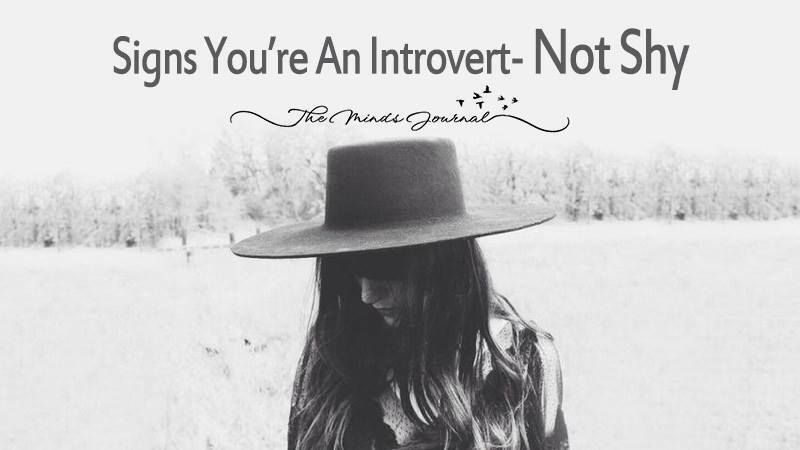 Studies show that introverts are a creative bunch! Creativity requires a person to have high imaginative powers and a calm surrounding to be able to focus. This is only possible with the best friend of introverts – solitude. Introverts are great listeners. You listen to understand, not simply to respond. If you’re asked for advice, you use your observation and analytical powers to cut out specific solutions for the issue. The act of listening is our way of showing love and respect, and as such, we deeply appreciate when those we communicate with recognize that we carefully think through the messages we share. We will always appreciate the same being done for us. You tend to over analyze situations that don’t even need to be analyzed at all. It comes naturally to you because of your inclination towards being hypervigilant about the surroundings, filtering in minute details. It may take you a little longer to understand not because you have slow processing speed, not because you can’t comprehend it, but because you always seek to understand the deeper meanings. Introverts need to take time to work things out in our heads first, and we choose our words with care.